A Florida couple was arrested after they were caught selling drugs out of a drive-thru window they constructed. 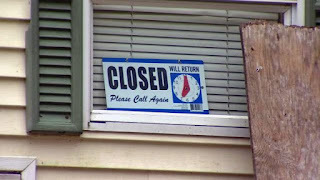 Police said the couple had turned a kitchen window of their mobile home into a drive-thru so customers would not have to constantly enter and exit their home, potentially drawing unwanted attention. The home had signs indicating when it was open or closed for business and signs directing motorists where to drive. A string of overdoses alerted police the couple were selling fentanyl laced heroin. 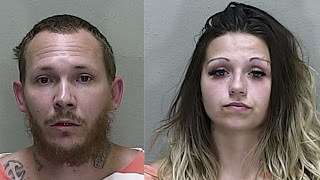 William Parrish Jr. and McKenzee Dobbs of Ocala, Florida face numerous charges.